2017 Kansas Social Studies Conference was awesome! 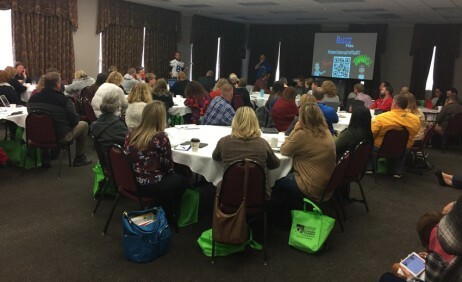 On November 5 & 6, 200 social studies teachers from around the state made their way to the Old Town Conference Center in downtown Wichita for the annual state conference. The four major social studies groups – the Kansas Council for Economic Education, the Kansas Council for History Education, the Kansas Council for the Social Studies, and the Kansas Geographic Alliance – worked together to host the conference. 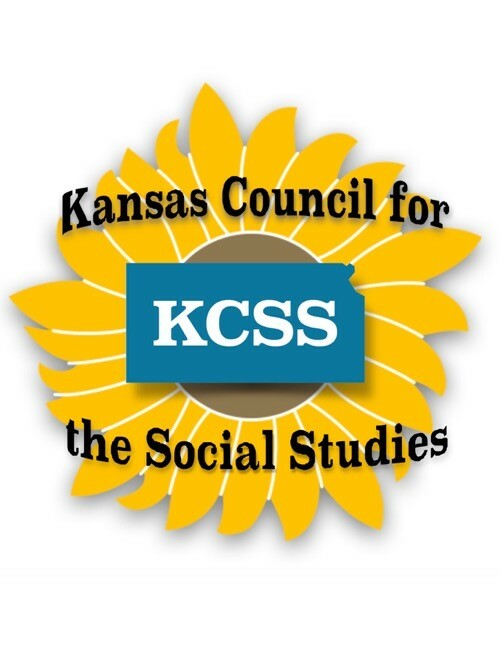 With the support and encouragement of the Kansas Department of Education, the conference is a perfect place for K-12 teachers to find all of the different disciplines in the same place and increases the cumulative social studies goodness. It also makes for a great Sunday night reception when we honor all of our different teachers of the year. This year’s winners? During the conference, there was another Kansas first. 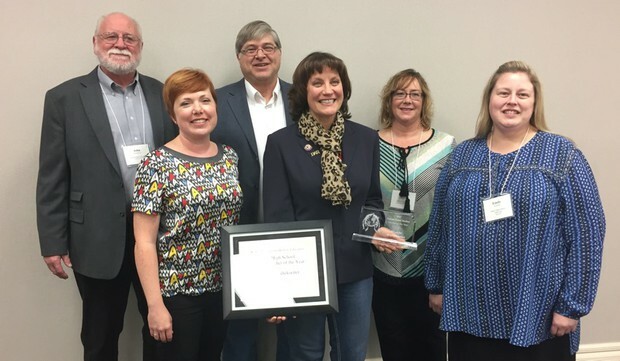 From this list of individual organizational winners, the Kansas Stated Department of Education selected an overall state Teacher of the year. Congratulations to Blanche Wulfekoetter as the first ever recipient of the Kansas Social Studies Teacher of the Year award. These three projects were developed through the Teaching with Primary Sources program at the Library of Congress. Each project is intended to provide young people with engaging and meaningful opportunities to learn about Congress and civic participation using primary sources from the Library’s online collections. Social studies teachers are always on the lookout for new instructional tools and resources. Check these out. You won't be disappointed. You probably already know about the sweet standards aligned lessons and assessments focused on the historical thinking process. But did you know about the newly added Civic Literacy lessons? Cause they're awesome. The success of any democratic system depends on the active participation of its citizens. 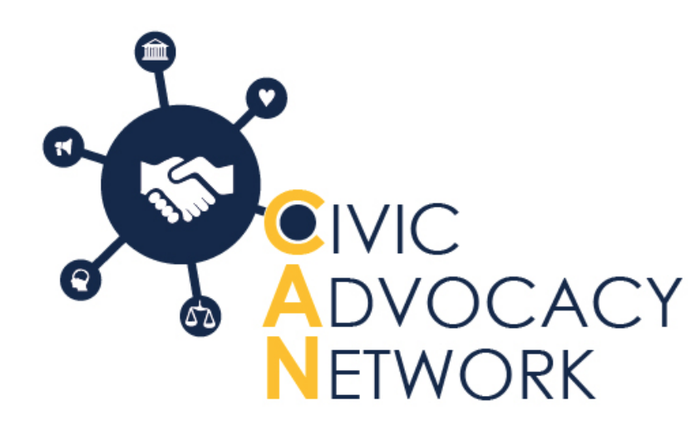 iCivics gives students the necessary tools to learn about and participate in civic life, and teachers the materials and support to achieve this goal. Our free resources include print-and-go lesson plans, interactive digital tools, and award-winning games. The Campaign for the Civic Mission of Schools recommends six “proven practices” that, together, constitute well-rounded civic learning. They urge all schools to adopt these practices, which have been shown by research to provide the most effective and comprehensive approach to ensuring all students receive the civic knowledge and skills necessary for informed and engaged citizenship. Perfect for oral history projects. StoryCorps’ mission is to preserve and share humanity’s stories in order to build connections between people and create a more just and compassionate world. They do this to remind each of us of our shared humanity, to strengthen and build the connections between people, to teach the value of listening, and to weave into the fabric of our culture the understanding that everyone’s story matters. At the same time, we are creating an invaluable archive for future generations. Digital Learning has revolutionized the way teachers do business in education. Teachers now have the ability to communicate, plan, and teach more efficiently than ever before. One advancement that has allowed this type of change is Google Classroom. If you’ve never used Classroom, here are eight things you probably didn’t know about this powerhouse tool. 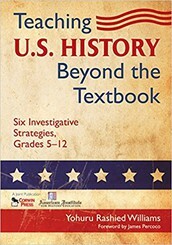 Written by the amazing Dr. Yohuru Williams, Dean of the College of Arts and Sciences at the University of St. Thomas and former public school teacher, this book is aligned with national standards and contains super strategies and sample lessons that turn learners into history detectives able to solve historical mysteries, prepare arguments for famous cases, and more. Engage students in meaningful civic learning and encourage them to become active and informed citizens. 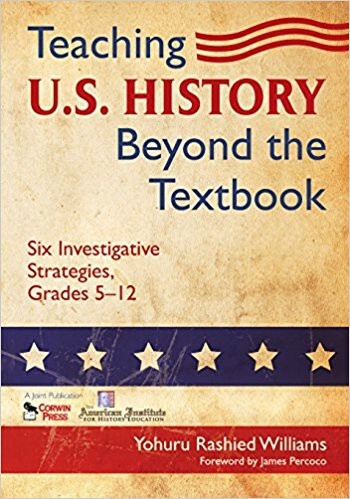 With this essential book, you'll gain a variety of practical strategies for teaching civics and current events to your middle school students. 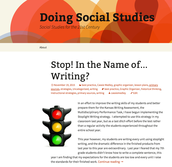 Author and expert teacher Sarah Cooper takes you into her school and shares her classroom-tested methods and tools. And while we're at it, be sure to check out how Tim Smyth is using comics in his social studies classroom. He's excited to share his "journey in using comics and graphic novels in the content area classroom to create engaged analytical readers and writers." 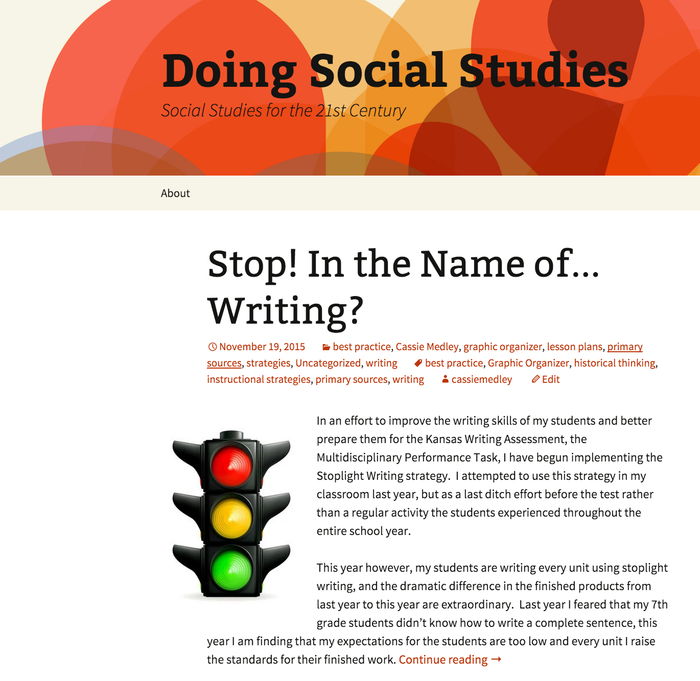 Need some state assessment info? According to Don, "It would be helpful for your students to have some background in this unit prior to the assessment. If you are teaching chronologically, you may need to rearrange your sequence to get the specific topic in before the testing window." 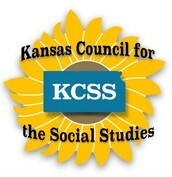 For more information, head over to the KSDE Social Studies page or contact Don directly. The 1st annual KSDE Civic Engagement conference is scheduled for February 19, 2018 at the Ramada Hotel in Topeka, Kansas. The Kansans Can school redesign initiative requires schools to develop civically engaged graduates. But what can that look like? This conference can help – make plans now to attend! The conference keynote speaker is Mary Beth Tinker. Saddened by news from Vietnam, Mary Beth and other students wore black armbands to school to mourn the dead and call for a Christmas truce. Mary Beth and the others were suspended. The American Civil Liberties Union challenged the suspensions in court, leading to the landmark 1969 Tinker v. Des Moines Supreme Court ruling. The ruling has been cited in more than 6,000 legal cases involving students’ rights. KSDE is looking for session proposals. Have an idea for a conference session? They want to hear from you! Send them your proposal. They are also encouraging students to develop and share poster sessions. Secondary students are invited to create a presentation that present identified problems in their schools, communities, nation, or the world, and propose solutions to those problems. Students and teacher sponsors apply here.